Yesterday was an overcast, somewhat chilly but oh so much fun day. 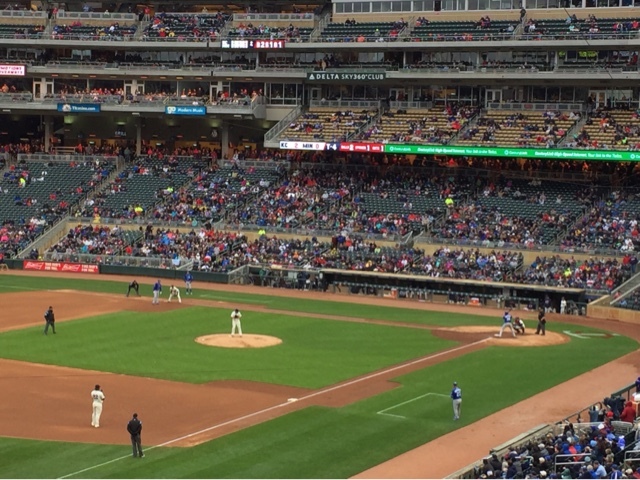 We spent the afternoon at one of my favorite baseball stadiums, Target Field, to watch our first place (AL Central) Twins play a portion of their double header against the KC Royals. 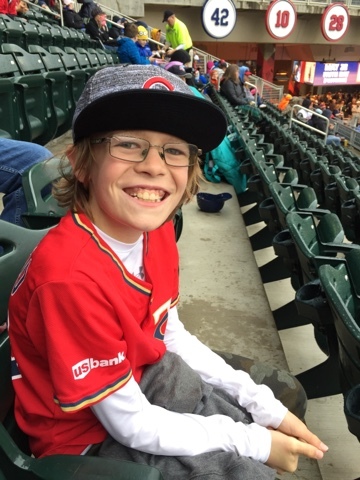 I wore my Brewers t-shirt, my hometown team, who are in first place in the NL Central. This is a fun rivalry. The highlight for Landen, naturally, is the food. Target Field opened with a capacity of 39,504 in April 2010 and is considered an "open air" ball park that is ideal for events beyond baseball. In fact, plenty of concerts are played here during the summer months. 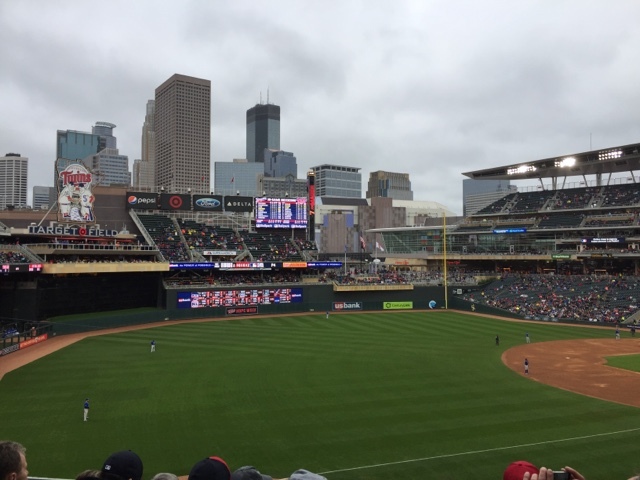 In 2010, ESPN The Magazine ranked Target Field as the #1 baseball stadium experience in North America. I can see it. I absolutely love its downtown city skyline views. Unfortunately, the Twins lost their first game but won the second - they maintained their first place standing! 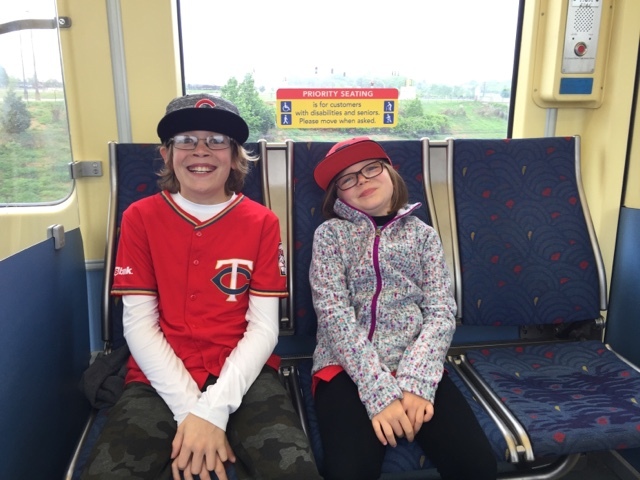 Once a year, we've been able to attend a Twins game as a guest of JDRF. We always look forward to it, and it's so nice that the organization empowers Madelyn to experience things like this. As you know our family is involved with the fundraising initiatives to raise money for research. We all dream of a cure for Type 1 Diabetes, and it's comforting to know we're contributing a small portion to that endeavor. I'm sure we'll find ourselves at Target Field as the summer heats up.